If you’ve had the same furnace working to keep you warm for a few years, it might start to work less efficiently, resulting in a climb in your heating bills. This doesn’t necessarily mean that you need to have it replaced (unless it is over 20 years old). But it does means you should takes some steps to restore its operation. We’ll look at 3 ways that can help get your furnace returned to its efficient operation once more. If you need repair work on your furnace in San Antonio, TX, then look no further than Cowboys Air Conditioning & Heating. We’ve helped people in this city for over 25 years keep their furnaces running and their homes warm. Call us any time of the day or night when you need service. Change the air filter: No matter what kind of fuel your furnace uses, it requires an air filter to keep its interior protected from contamination. That air filter needs to be changed regularly, or else it will become too clogged; during heating season, changing it once a month is ideal. If you’ve forgotten to do this, the clogged filter will cut down on airflow and force the furnace to work harder. It may also be allowing dirt inside, harming in components. Schedule regular maintenance: The filter needs to changed once a month. 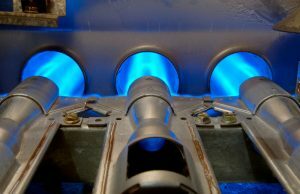 The furnace needs to be checked once a year, usually before heating season begins. If you’ve neglected to do this, a drop in efficiency is almost guaranteed. Maintenance visits take care of all your furnace’s regular cleanings, adjustments, and tune-ups to make sure it’s working at its best and doesn’t have any impending repair needs. 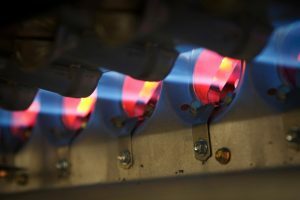 Take care of possible repairs now: Along with an increase in your bills, have you noticed any other peculiarities about your furnace’s performance? For example, strange noises like rattling or grinding; odd smells coming from the vents; cold spots you haven’t noticed before; and the furnace turning on and off more than usual. If you notice these signs, it means your furnace needs to have repairs done. Schedule them right away, before the problem grows worse and instead of an inefficient furnace, you have a broken furnace. If you have not yet enrolled in a regular maintenance program for your home heating and air conditioning in San Antonio, TX, do that right now: call Cowboys Air Conditioning & Heating and sign our Preventive Maintenance Agreement. You’ll receive 15% discount on parts and labor and priority scheduling along with a tune-up per year for your heater and you air conditioner. And we have 24-hour emergency service to deal with any of those repair problems.